Transmission Valve Bodies: Rebuild or Replace? 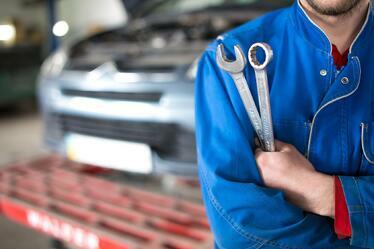 Every part, vehicle, and job that makes its way into your shop for service is different. While it's certainly helpful to have general guidelines for rebuilding vs. replacing transmission parts, the best practice we can recommend is to consider all options (in a timely manner) before selecting the best service solution. So when it comes to dealing with a worn or broken valve body, what should factor into your service decision? 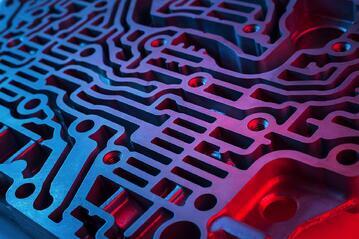 The choice to rebuild or replace the transmission valve body entirely isn't one size fits all. Here's what to consider when you're making that decision in your shop. The valve body is a part of all automatic transmissions that acts as the main control center of the system. When a failing valve body causes symptoms and/or failures like noise during gear shifts, slippage, delays, and difficulty reversing, a driver is left with no choice but to fix or replace the part. The choice then falls on your shop, so what are the advantages of rebuilding vs. replacing the valve body? Rebuilding the valve body is a great option that is typically less expensive than purchasing and installing a brand new or remanufactured one. While saving you and your customer money is a great benefit in general, there are situations where rebuilding a valve body is especially appropriate. For one thing, a valve body that's only been on the road for a relatively low number of miles is typically a good candidate for a rebuild. When you're only replacing the worn or failing parts you find during inspection, you might notice that the rest of the new valve components are unharmed. Additionally, if the valve body belongs to a vehicle with high mileage, sparing the costs of a brand new valve body can be the smart, frugal choice for a car that might not be on the road much longer. Assuming your techs are trained and ready to rebuild the valve bodies that come their way, you can trust your rebuild to hold up for many more miles, even if the vehicle is on its way out. On the other hand, replacing the valve body with a new or remanufactured part might be the better decision (though more costly) under different circumstances. The strongest determining factor in this decision is the amount of damage the valve body suffered. If the damage is extensive and the costs of rebuild parts and special service tools start to add up, it might be worthwhile to spend the same to install a brand new or remanufactured. The type of damage also makes a difference; depending on what parts are damaged, stuck, or worn down, you may decide that rebuilding will require more labor than the job is worth. You should also consider the technology inside the valve body. If the parts and construction are too new or advanced (perhaps the case with a electric or solenoid valve) for your techs to handle or special service tools are not available, you might opt to install a new replacement instead of rebuild. In the meantime, check into the training options available to bring your techs up to speed so your team can handle future rebuilds on advanced units and emerging transmission technology. Unless the customer specifies otherwise, the choice to rebuild or replace a failing transmission valve body is yours based on what you discover during disassembly and inspection. You should consider not only the condition of the part itself, but also the vehicle it belongs to, in order to make the best decision for every job and customer. When your trusted team is using quality parts to either replace or rebuild the valve body, your ability to judge the situation is the key to a successful service every single time.